A plant by the name of sneezeweed sounds a little too vile to be used in a skin care product. But just as judging a book by a cover can lead to missing out on a enthralling story so too can be judging a name by its implied references. Saying that, sneezeweed isn't exactly a plant you'd display on you patio for aesthetic appeal (though oddly it is a member of the daisy family). Looks nor name have stopped the Australian aborigines from making the most of this swamp loving healing plant (which is actually know in Australia as the ‘old man weed' - starting to get an idea of what it might look like?). 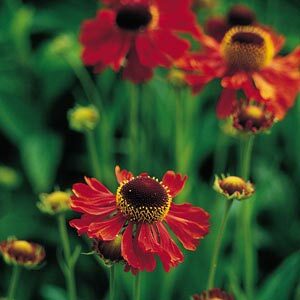 Sneezeweed (botanical name: centipeda cunninghamii) is said to be a good treatment for ‘just about anything'. It is a proven anti-inflammatory, anti-irritant and anti-allergenic, which explains why it is used in a number of natural skin care products. Healing balms, soothing body lotions, baby products, sun care treatments and even cleansers like John Masters Linden Blossom Cleanser utilize sneezeweed's medicinal properties to soothe the skin. Hair loss and skin disorders like psoriasis can be treated using products that contain a significant quantity of this plant extract.